Lions are ordinary people who do extraordinary things, to help others and support good causes both locally and throughout the British Isles. We are members of Lions Clubs International, an international network of men and women who work together to answer the needs that challenge communities across the world. With over 46,000 clubs and over 1.4 million members we are part of the world’s largest service organisation. Our aim is primarily to support the less fortunate in our community and also support national and international Lions appeals and projects. Globally we have more volunteers in more places than any other service club organisation. We love to help others and make things happen. Because we are local, we serve the unique needs of the communities in which we live. As we are global, we can address community challenges wherever they occur. 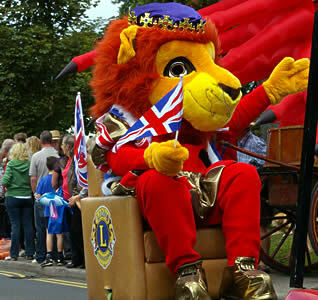 The Cranleigh & District Lions Club was formed in 1974. Our members cover a wide age range with different professions, some now retired, all of whom joined to put something back into their local community. They achieve this, whilst at the same time making new friends and enjoying the experience. It’s a credit to the growing Lions club in Cranleigh, that few leave the club and many have been members for more than a decade. We run a number of events during the year to raise money, which supports local charities and individuals. Each year we aim to donate around £50,000 to local causes and people in need. You can find out how we use the money we raise here. The members of Cranleigh Lions cover a wide age range with different professions, some now retired, and all join to put something back into our local community, whilst at the same time making new friends and enjoying the experience. 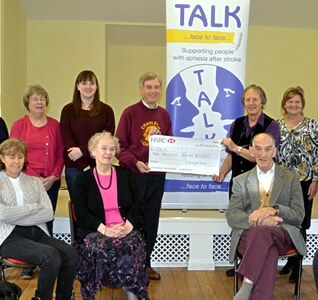 It’s a credit to the growing Lions Club in Cranleigh that few leave the Club and many have been members for more than a decade. Cranleigh Lions have a monthly “business meeting” at the Cranleigh Village Sports & Social Club, where we discuss upcoming events and applications for support. Each event has a committee responsible for its organisation, relying on the other members as necessary. It’s not all hard work though, as we have regular social events throughout the year.